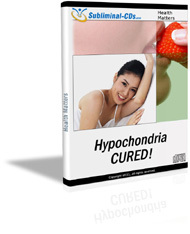 Defeat hypochondria for good - the EASY way! Are you constantly worried about being ill? Need a way to put it out of your mind - INSTANTLY? 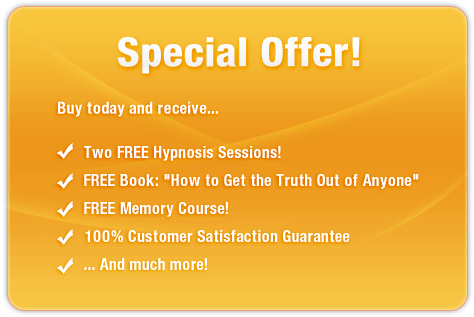 This remarkable subliminal audio recording will quickly and easily unlock ALL of your brain's natural healing and regenerating systems! The Hypochondria CURED! session features the latest technology in subliminal messaging to deliver thousands of potent, motivational, life-changing messages directly to your subconscious ? allowing you to unlock the healthy you inside in just MINUTES! Don?t let negative thoughts make you sick! Purchase Hypochondria CURED! NOW and enjoy a healthier, happier future from TODAY!